Beyond this entrance is a sophisticated lobby furnished by Armani. The 46-storey tower of steel and glass is the epitome of understated elegance. 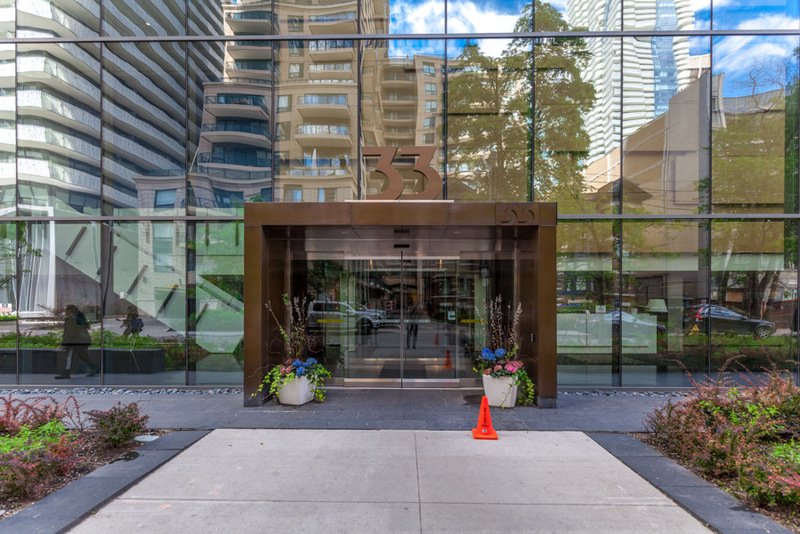 33 Charles Street East, also known as Casa Condos, lies in Toronto’s vibrant Church-Yonge Corridor. 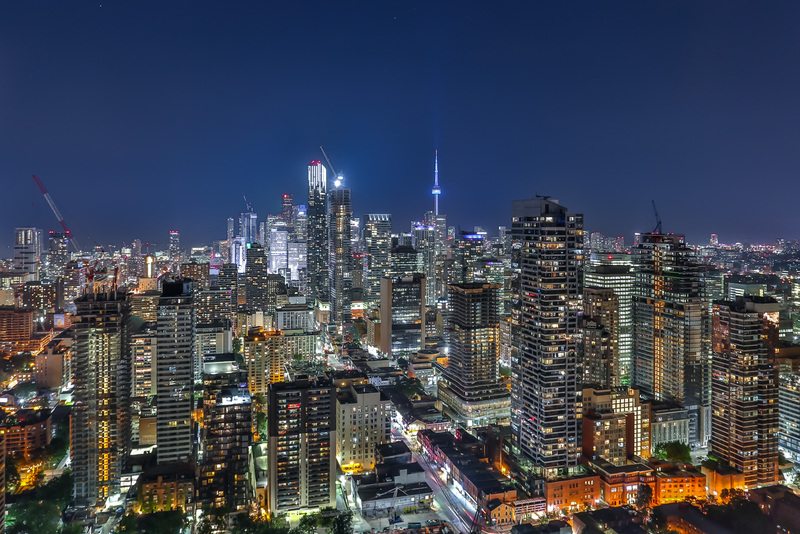 This narrow stretch of land includes the famous Eaton Centre, Ryerson University, and a mix of fine dining, luxury retail, and gorgeous high-rises. The condo features a black-brick exterior, glass curtain wall, wrap-around balconies, and overhanging concrete slabs—all perched atop a 5-storey retail podium. Casa is neither short on space nor style. 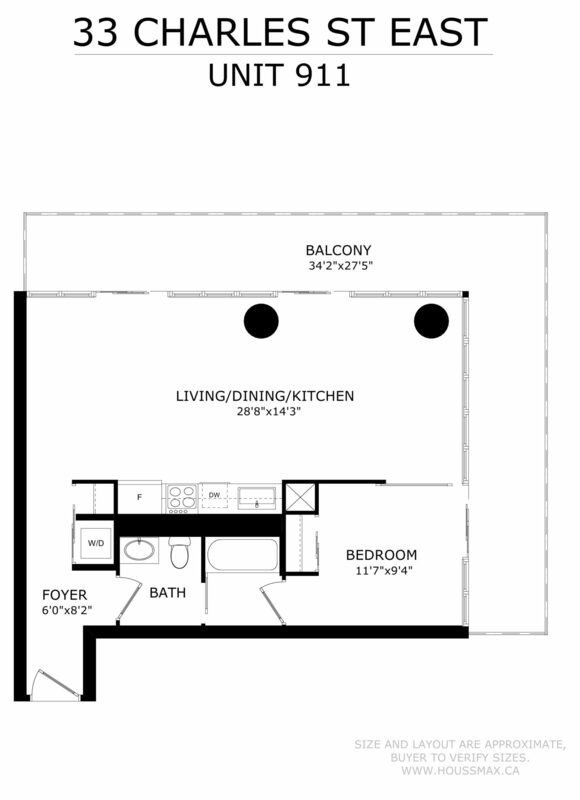 Unit 911 consists of 1 large bedroom, 1 bath, a laundry, and a massive 284 sq. ft. wrap-around balcony. Its 706 sq. ft. interior is amplified by an open-concept living room, kitchen, and dining room. This layout promotes flow and also opens up endless décor possibilities. For example, this well-lit area is perfect for a sofa, sectional, love-seat and other furniture. 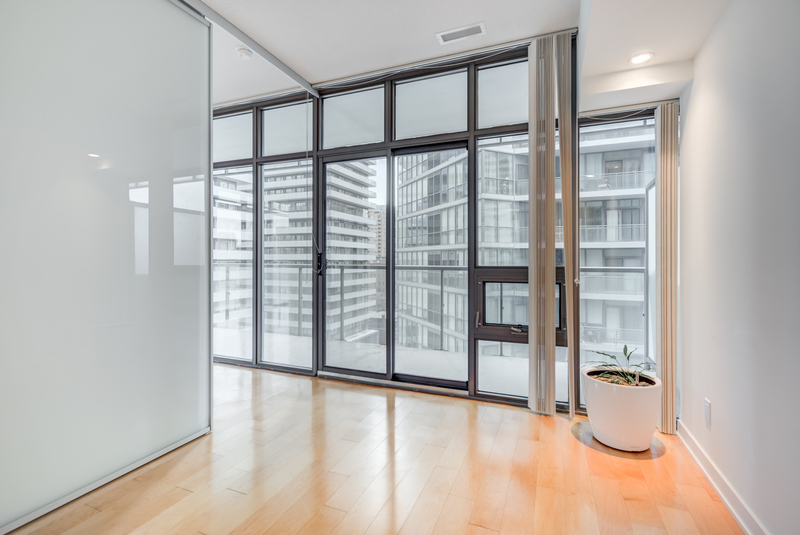 Floor-to-ceiling windows add to the sense of space while providing stunning city views—and plenty of natural sunlight. 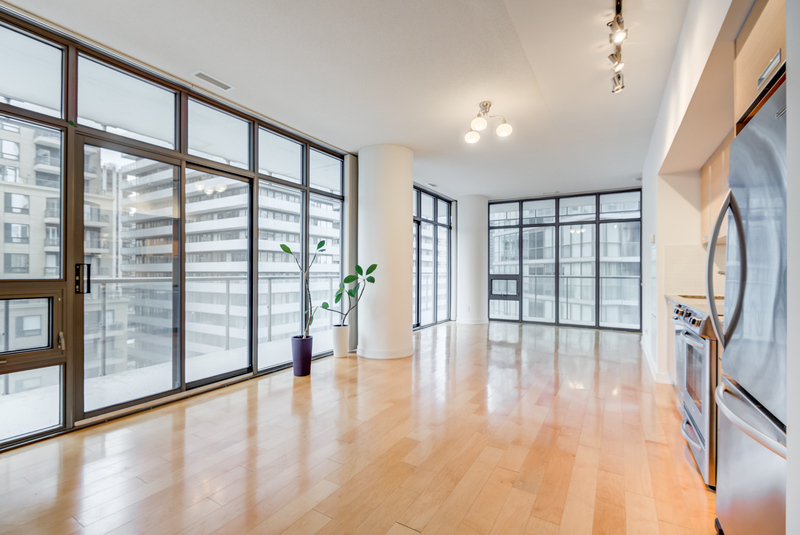 Wall-to-wall windows make this condo perfect for growing indoor plants and flowers. 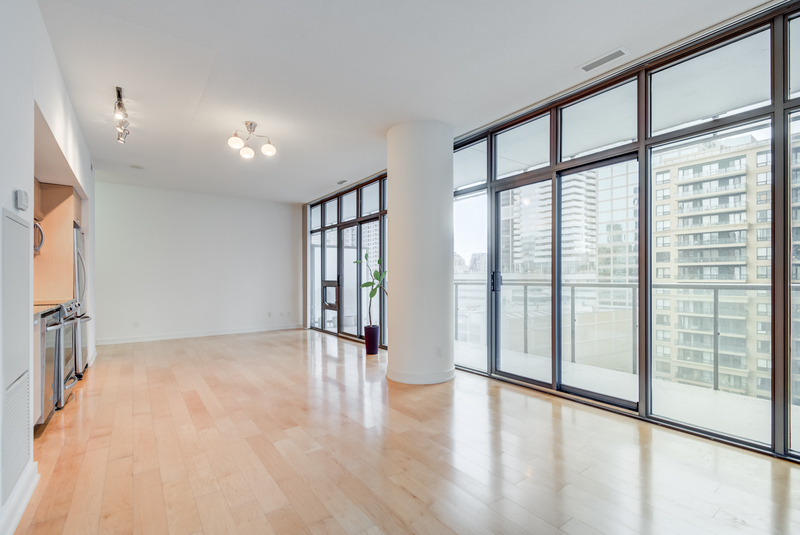 Other notable highlights include 9-foot ceilings, track-lighting, and glossy hardwood floors. All that, plus a grayish-white colour scheme, makes the entire unit seem so bright and cheerful. Thanks to a clever recessed design, this kitchen takes up almost zero space. 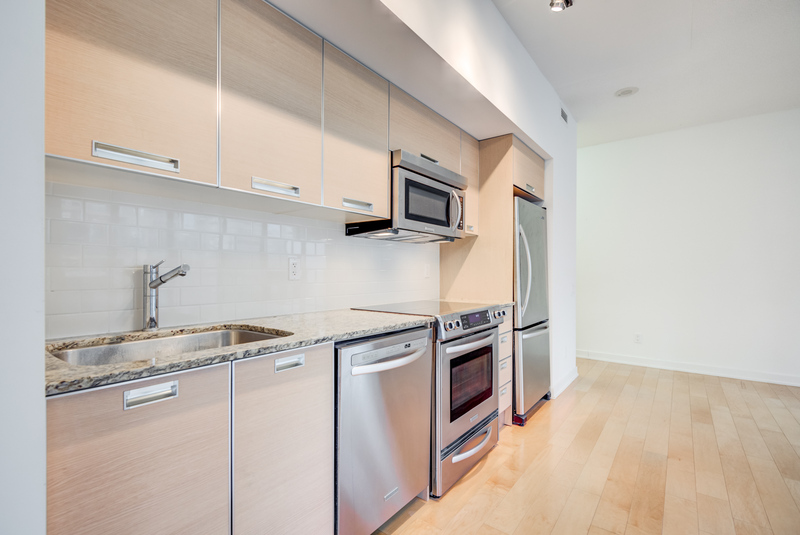 33 Charles has a linear kitchen complete with granite counters, multiple drawers and cabinets, under-hood lighting, and full-sized Kitchen Aid appliances. These include a stainless-steel stove, fridge, microwave and dishwasher. A tiled back-splash and light-coloured cabinetry combine design with functionality. Unit 911 also comes with a stacked washer and dryer. 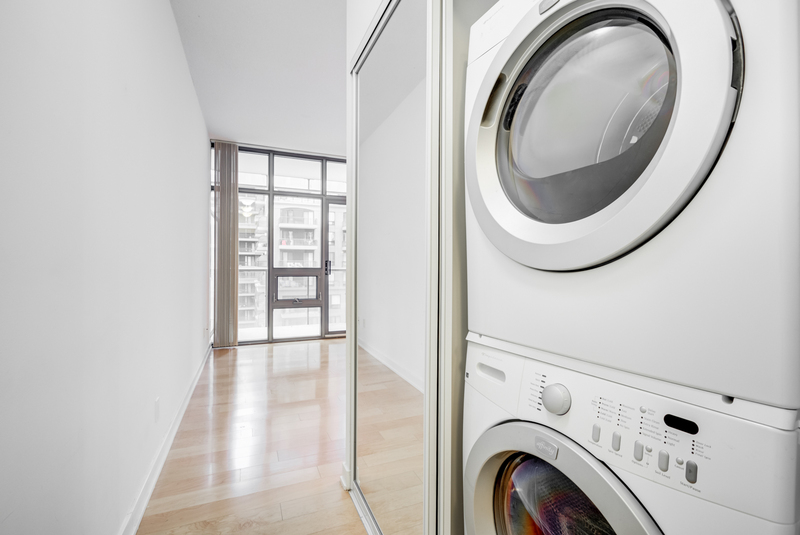 Located in the foyer, this laundry is tucked away neatly out of sight. Casa’s bedroom is brilliantly illuminated by a wall of windows. 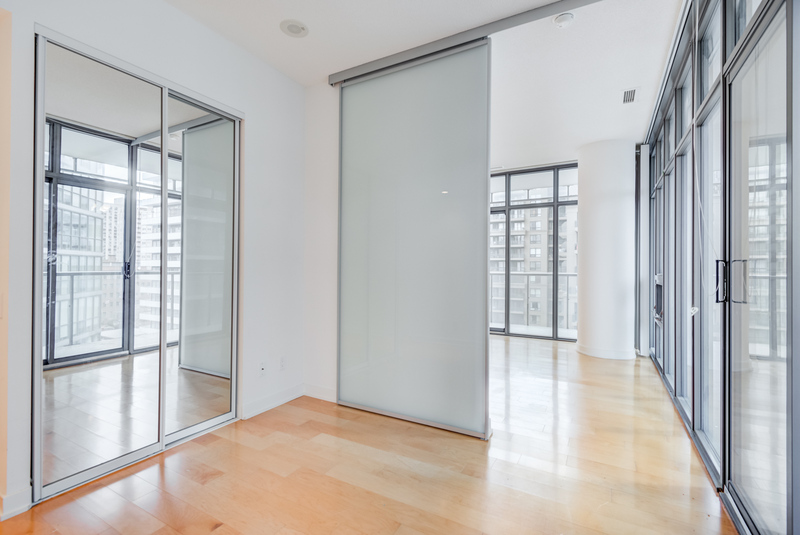 A sliding door makes this bedroom both private and open-concept, and because it’s surrounded by windows and mirrors, vastly magnifies your sense of space. Who needs indoor lighting when you have so much natural sunlight? The bedroom also boasts a large closet with shelves, balcony access, and a semi-ensuite bath. This bathroom is a stunning example of calm colours and clean lines. 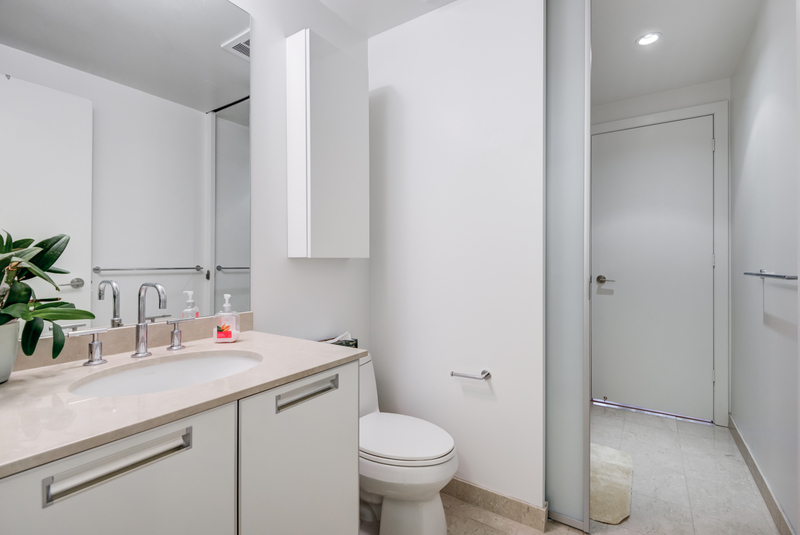 While the washroom is accessible via the foyer or bedroom, a sliding door divides the bathtub from the sink and toilet. In essence, that makes it both a powder room and a washroom. 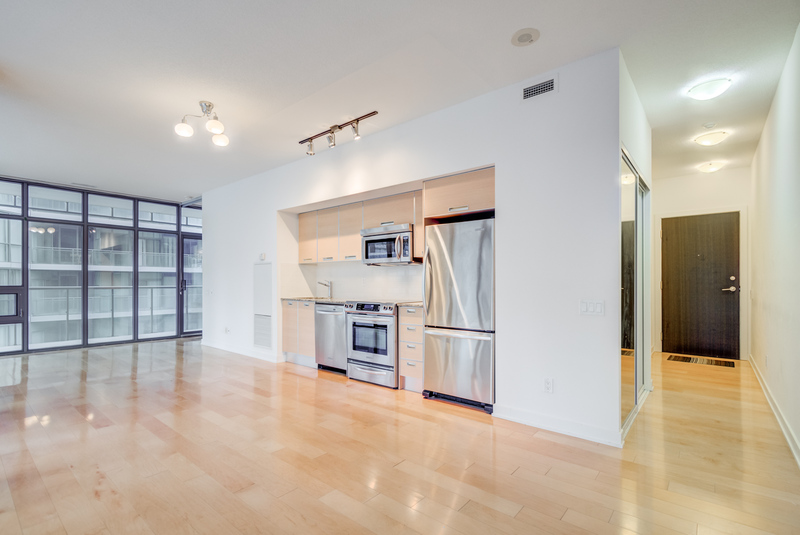 Residents can enjoy a generous 284 sq. ft. of outdoor space. 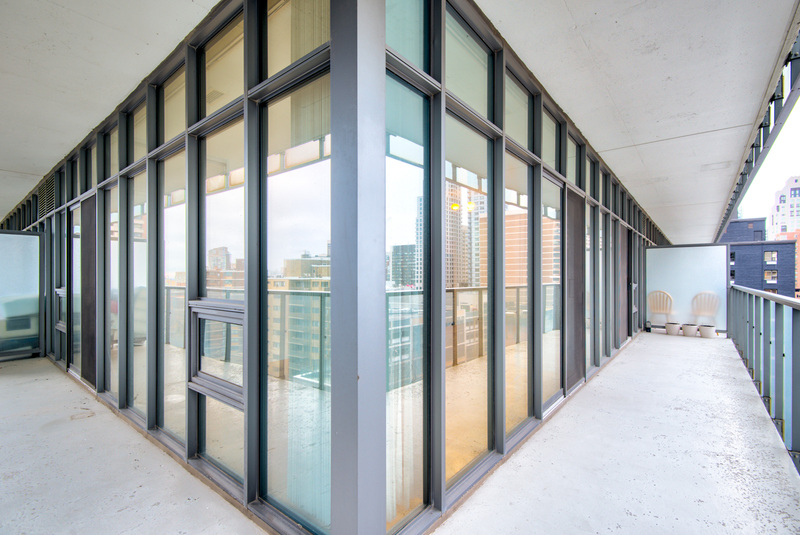 Unit 911 features a wrap-around balcony with 3 points of entry. 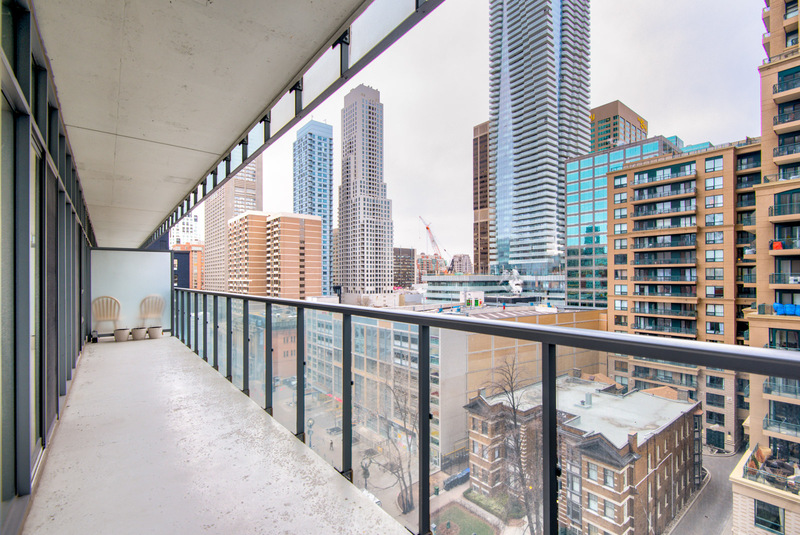 Besides offering dramatic views of downtown Toronto, the balcony is also a great place to sit, relax, read and socialize. There’s more than enough space for armchairs and potted plants. Living at Casa Condos means being at the epicenter of excitement. Food, fashion, arts, culture and entertainment—the Church-Yonge Corridor has it all. This is where you’ll find the Eaton Centre, which boasts almost 230 retailers to serve your every shopping need. Looking for something more upscale? Take a 10-minute walk to Yorkville, home of the world’s most elite brands. 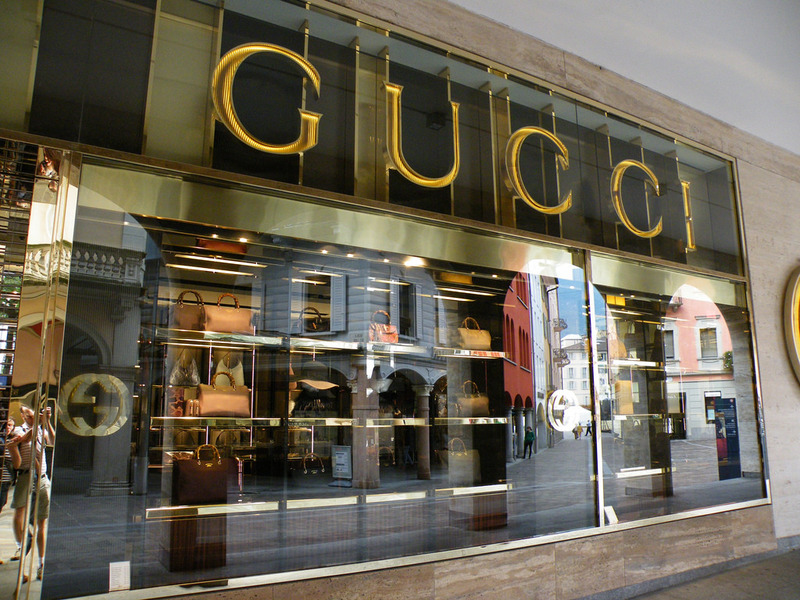 Chanel, Gucci, Coach, Lacoste and Holt Renfrew all have flagship stores in Yorkville (barockschloss, Flickr). The Church-Yonge Corridor also features fine dining, with famous eateries like Hemingway’s, Sassafraz, and the historic Pilot Bar. 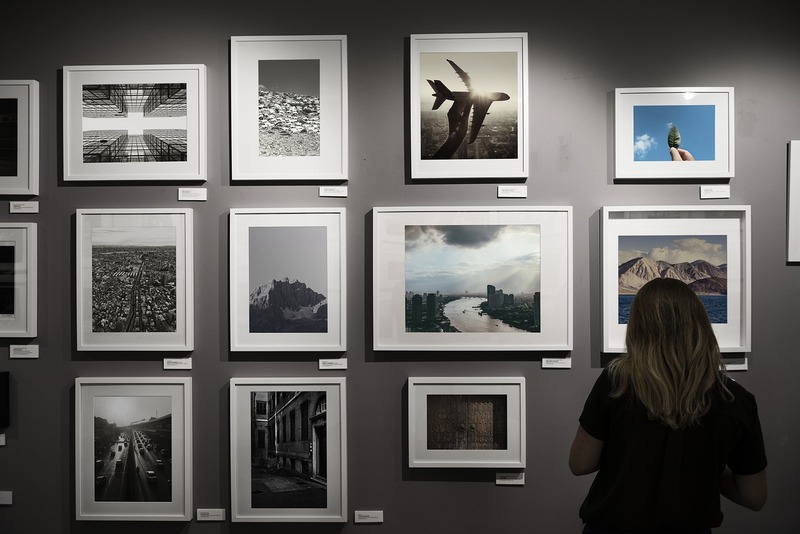 Have a taste for arts and culture? 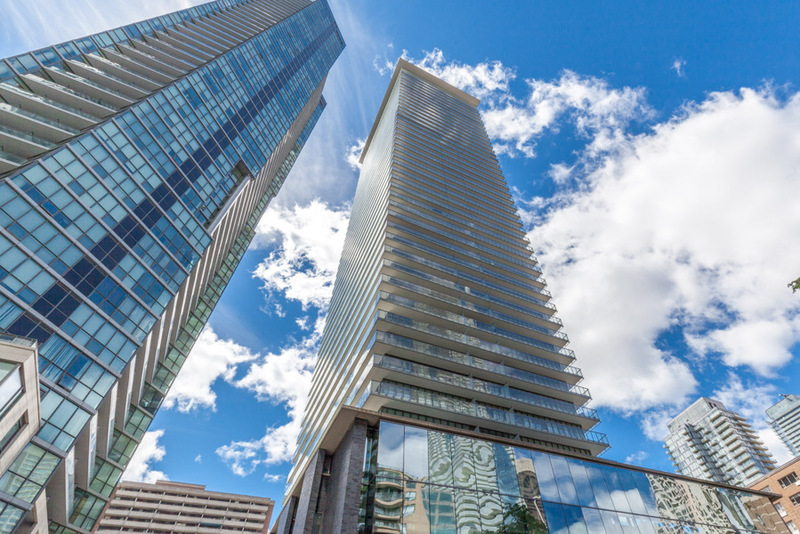 Yorkville contains 17 art galleries, while the Church-Yonge Corridor is home to Massey Hall, the Elgin and Winter Garden Theatres, and the ROM, Canada’s largest museum. This view is just one small part of the WOW factor. 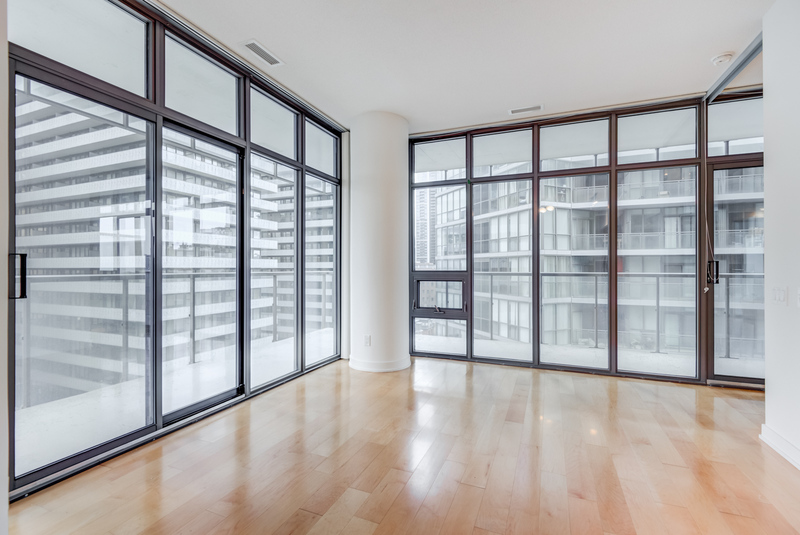 33 Charles Unit 911 has so much to love: an open-concept layout, plenty of windows and natural sunlight, a large bedroom and bath, plus a huge balcony with breathtaking views. It also has luxury amenities to help you stay fit, relaxed and entertained. 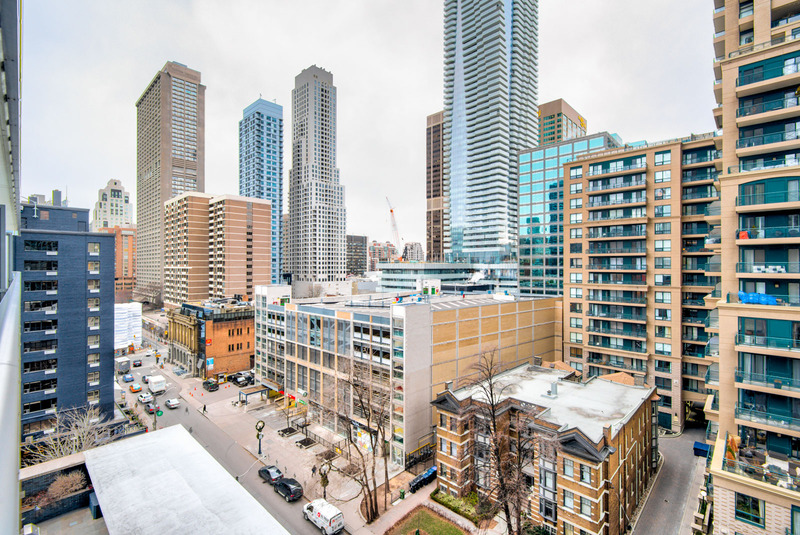 Plus, its location in the Church-Yonge Corridor means you’ll have the best of Toronto at your doorstep. 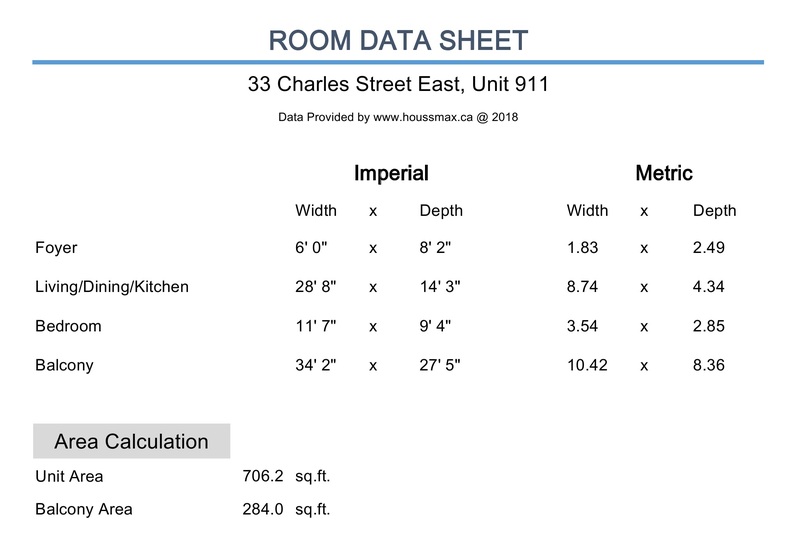 Want to know more about 33 Charles? Contact me below for more details. 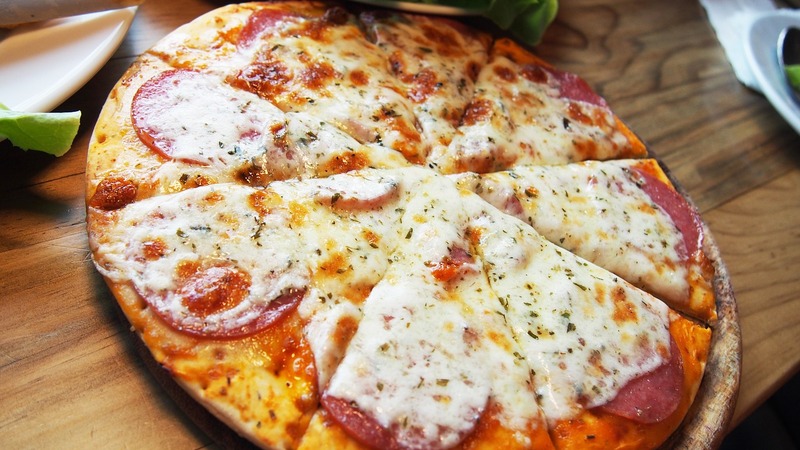 You can also take the VIRTUAL TOUR.